Today it is Winter Solstice in Norway, its the day when the sun is "turning". At this time of year, we have winter with short days where the sun is up only 6 hours a day (equally 19 hours at summer solstice). This photo is from my neighborhood in Norway SouthEast, app. 50km outside Oslo. 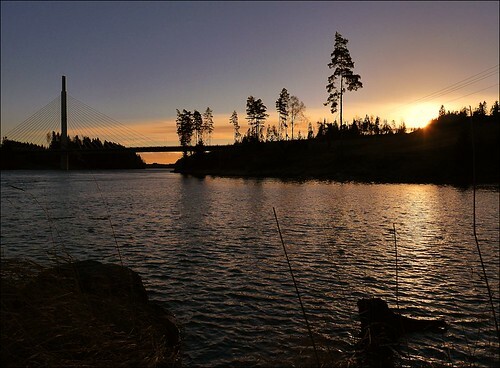 The big river is Glomma and the "Smaalenene" bridge with the motorway E18. The sun is setting early in the afternoon.